This coffee table will make a fantastic statement in your living room. Simple, stylish and so practical in a classic modern, contemporary Scandi style. Large rectangular glass surface supported with oak wood leg. The coffee table offers a great modern look with it's clear lines, this will make a stylish addition to your living room decor. This table will be perfect for sitting in the living room or conservatory. This coffee table will make a fantastic statement in your living room. Simple, stylish and so practical in a classic modern, contemporary Scandi style. Large rectangular glass surface supported with oak wood leg. The coffee table offers a great modern look with it's clear lines, this will make a stylish addition to your living room decor. 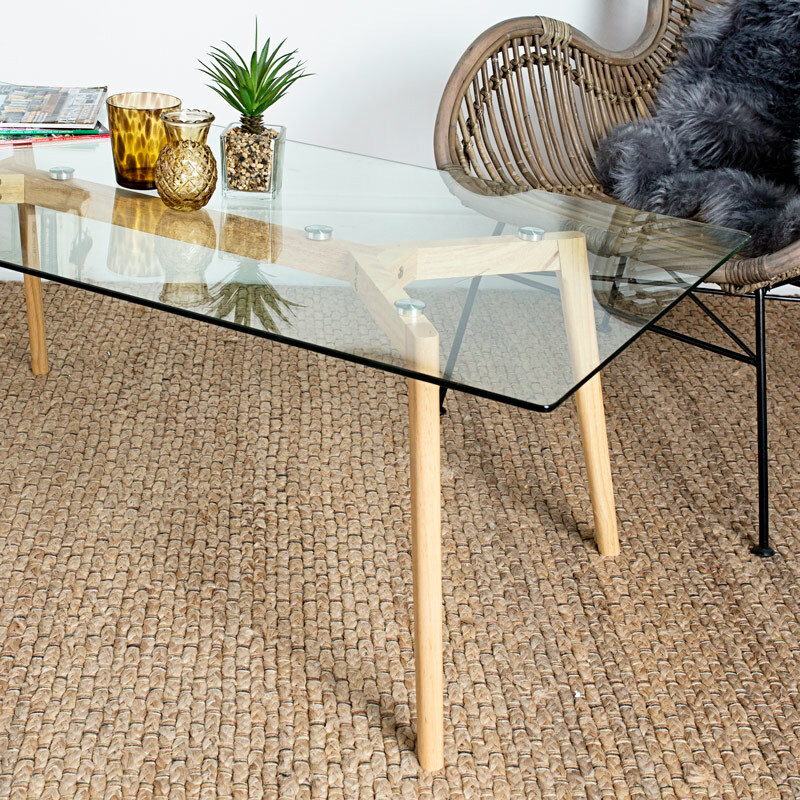 This table will be perfect for sitting in the living room or conservatory. The table is constructed with a large glass top that sits upon oak wood legs. The table requires assembly with all the fittings included. 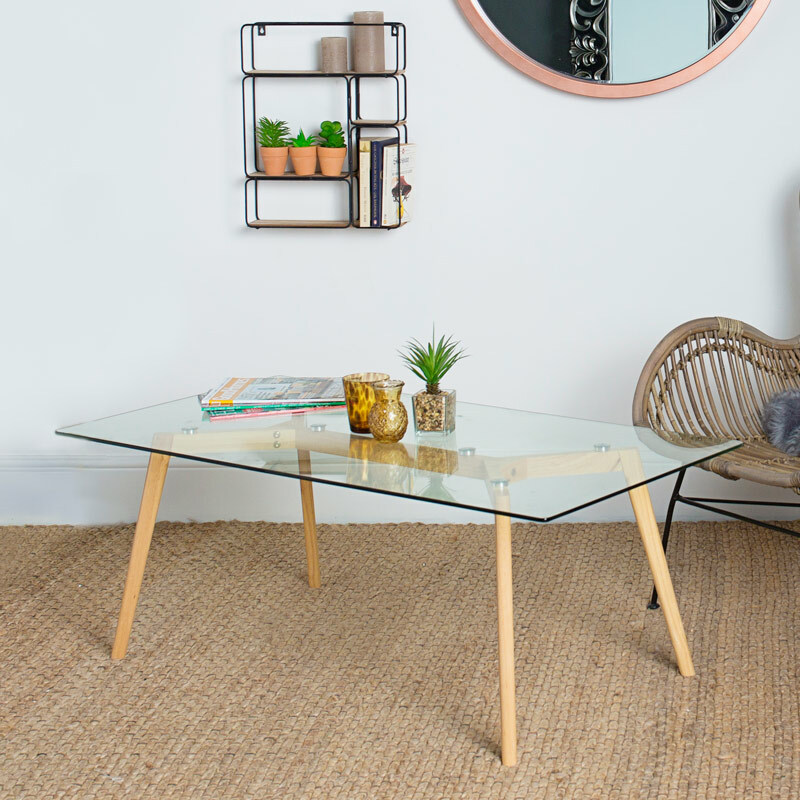 We have a great collection of coffee tables with standalone pieces and coffee tables that comes as part of a range in a great choice of styles and colours.